The cats have been enjoying World Cup 2018 & will return to predictions soon. You could imagine how much the Portland Timbers have flown under the MLS radar if you look at discussions outside the Rose City about the best in MLS. The expectation of the team appeared to be greatly diminished after replacing their coach and trading away one of their keystone players while keeping together a core of players that flamed out of the 2017 MLS playoffs unexpectedly. All that Timbers Coach Gio Savarese has done in his first season is deal with injuries and personality issues within the locker room, install a new tactical approach and the team has currently ripped off a 12 match unbeaten streak since April. As many writers have pointed out, it's easy to point to the parallels the last time the Timbers replaced their coach in 2013, and the team flew all the way to the Conference Championships. But I think that doesn't give full credit to Savarese and his coaches for the job they've done so far. And how important now continuing that approach will be now that people are noticing the transformation when expectations will be increased. Savarese has always approached matches in the aspect that "every match is a final", a phrase he used in his introductory press conference which has carried over through several iterations over the season. It's a terribly cliched phrase in whatever format it might appear, but it is a simple and straight forward message - deal with the here and now - if it's boiled down to the basics. Over a tremendously long season, there are too many variables surrounding playoff qualification, playing form, injuries, other competitions, trades, lineup adjustments that it can be difficult to keep up for anybody. By preaching this mantra to his team, Savarese has kept the focus reasonable for the things the Timbers can control - their health, well being and form. I give him a tremendous amount of credit for taking something very simple and applying it so well, but then again in our parallel example world, our former fearless leader essentially said the same thing in keeping issues balanced. What separates Savarese from the pack here is that while he's preached the simple message of keeping in the here and now, he's done it by putting forth a dizzying array of adjustments and tinkering that has paid dividends. 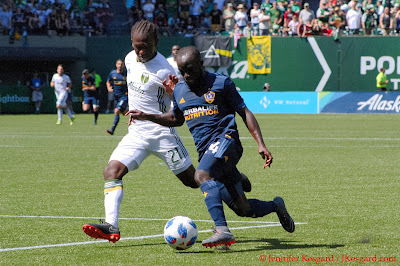 Diego Chara has been his usual self, but he's had help in anchoring the midfield. In the previous system, it was essentially designed to be a true plug and play approach with the positions effectively locked into their roles; players would be adjusted in and out based on various factors, but the basic approach would be the same. 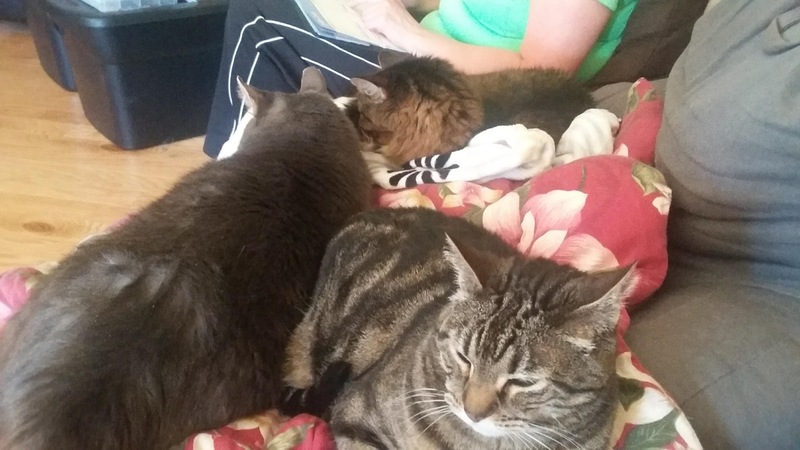 It worked for a while very well, but the rigidity of the attack bogged down at points simply over the course of adjustments - either by the Timbers or by the opposition. Differing nuances were added over the years, but effectively the attack was set up to maximize the Timbers by setting up a process to capitalize on possession. I can't put much fault into a system that produced an MLS Cup title and 3 playoff appearances in 5 seasons, but with a core of players nearing 30 years old and several long term questions about tactics being unearthed during the offseason, there was tons of scrutiny put towards Savarese in the early part of the 2018 season. To put it mildly, the team spent a lot of time twirling forward, not backward; upward, not forward; and always twirling, twirling, twirling towards freedom or success or whatever metric fits here. Yes, it's a Simpson reference that I have run into the ground a lot on my Twitter account and some thought I misquoted it recently talking about my club side, Old Growth FC. But I'm not talking about Kodos giving a campaign speech as Bill Clinton, but the early season of the Timbers was effectively all over the place. Even during the Timbers' home opener and victory over Minnesota United, there was plenty of uncertainty within the approach that was somewhat subsided when Portland took a unique approach against NYCFC - yielding possession and playing for the counter. What we have seen since is the Savarese approach of constantly adjusting and maneuvering the lineup to fit the tactics the team want to execute in the here and now. There has been a healthy rotation of players within several positions, especially on defense, and Portland hasn't missed a beat since they left Orlando. Cristhian Paredes has been a welcome revelation for the Timbers. Maybe this seems like over simplifying what Savarese has done, and several media outlets have given rave reviews of Savarese and his approach giving the Timbers flexibility yet discipline. For a side playing the "Christmas Tree" approach of 4 defenders, 3 defensive mids, 2 attacking mids and a lone striker that usually means a passive, defensive approach, the Timbers have been anything but passive. Within this formation, the Timbers have seamlessly adjusted to playing 3 in the back, sending one of the defensive mids forward with regularity, having the fullbacks pinch up, everyone drop back on defense, and do so with synchronicity in coverage. It has been helped by the emergence of Jeff Attinella in goal, as he's been playing as well as I've seen him in his MLS career, while also seeing a cadre of center backs filter through and not miss a beat. 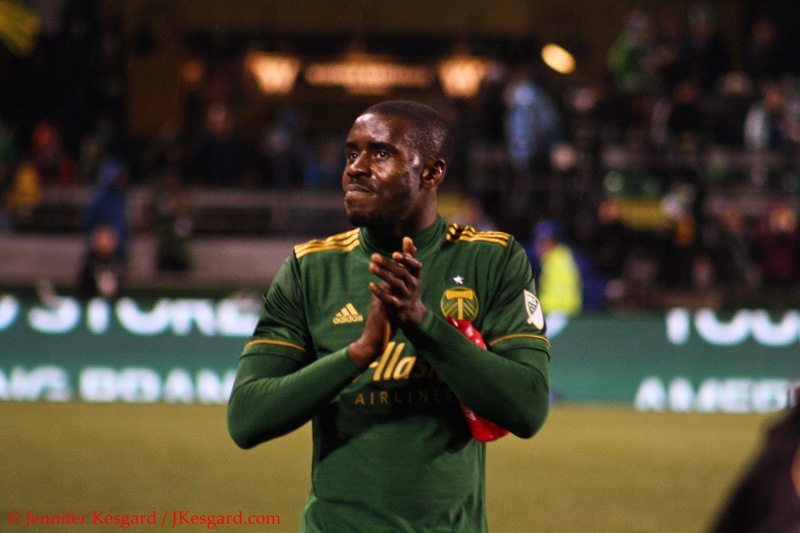 As with any system being played, it's important to have a spine and backbone that works - and for the Timbers that has been the play of the center backs, defensive midfield and keeper. What Savarese has also unleashed in this unbeaten streak, however, is a true multi-faceted approach - between attacking options, precision on set pieces, and the ability to create chances. 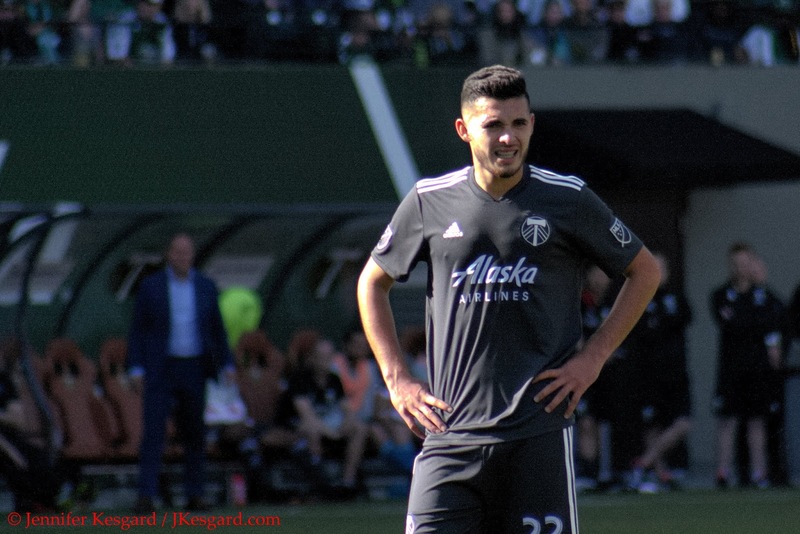 If there is one area where the Timbers can get a little bogged down, it is in the creativity in open play - as they still tend to rely too much on Sebastian Blanco and Diego Valeri to be those creative forces. In 15 matches, the team has tallied 24 goals between 9 different players - 10 at home, 4 conceded, 14 away from home with 17 conceded, giving them a plus 3 goal differential - which shows consistency. What is also showing well is that while Valeri leads the team with 6 goals, Blanco is right behind with 5 and Larry Mabiala and Samuel Armenteros are next with 4. The fact that Mabiala has become a scoring threat on the set pieces has added another dimension to the Timbers that teams need to account for, but Portland gets some good news relating to schedule. Over the next 10 matches, the team plays at home for 7 of them to balance out their fixtures and close up the gap in matches played. Portland travels to Los Angeles for a double header with LAFC, playing a MLS match on July 15 followed by their quarterfinal U.S. Open Cup match also there on July 18, and then makes a brutal 2 match trip in August to D.C. United midweek on August 15 followed by a date versus Sporting Kansas City on August 18. There are challenges within the 7 home matches: San Jose, followed by Montreal, Houston, Philadelphia, Vancouver, Seattle and Toronto FC, but being in familiar surroundings should tip the scales for the home side a bit regardless of who is visiting Providence Park. Larrys Mabiala has been great in defense & is tied for 3rd in goals scored for 2018. It certainly looks promising, but at the same point, if the wheels start to fall off or struggle, the unbeaten streak will all be forgotten. While streaks are completely awesome and impressive, the true measure of teams are still championships, and Savarese is now seeing several players return to the team from international duty (David Guzman, Andy Polo) and from nagging injuries. Portland has dealt with the challenges so far in 2018, but in many ways, the simple approach of focusing on the current could help avoid distraction. San Jose, this weekend's opponent, has been steadily improving with an improved offense, but a nightmarish defense has put the Earthquakes in the Western Conference basement. In previous years, the Timbers have shown a tendency to play down to certain teams, but by all accounts, Portland should be able to press this side at will. They showed remarkable adaptability to deal with one of the most difficult road trips back to back - Atlanta United and their pressing attack and massive crowds, followed by the rivalry match in Seattle versus the always testy Sounders FC side. Portland took 4 points from the trip, which is an accomplishment considering they hadn't won in Seattle during the MLS era and Atlanta was on a roll coming into that match. As much as the results were good, Savarese must keep the side from regressing. He also needs to adjust for playing time to keep his team focused, healthy and happy - especially with reinforcements potentially coming soon. He's earned the benefit of the doubt from me right now because the challenges are going to present themselves soon, but in showing a fluidity and flexibility to manage the team, I have belief Portland will be able to account for just about anything thrown at them.